Thanks to my sister, who never throws anything out, this great picture turns up this past Christmas. 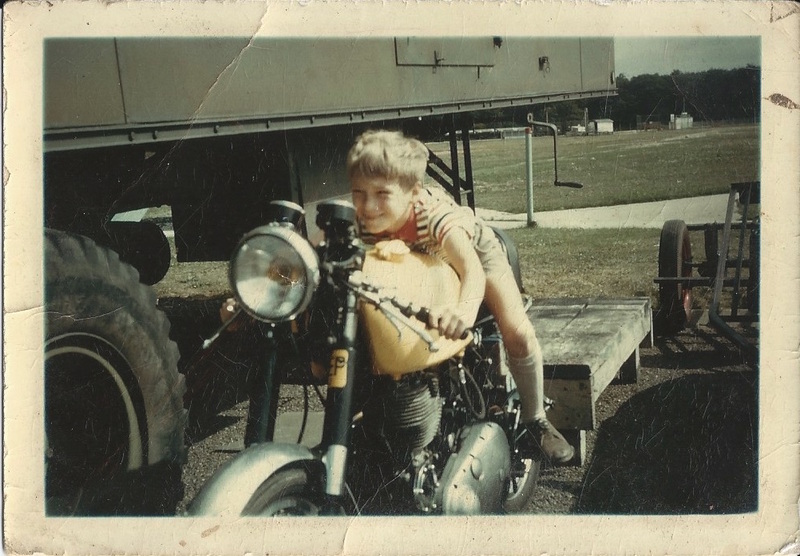 I must have been 10 years old or so so this would be around 1964, outside Paris on a U.S. Army base. I played little league baseball there, but lo and behold this bike was sitting between a couple of trucks and my dad snapped the picture with his faithful “Contact” range finder camera. Thanks Amy! He was pretty tickled when Pix gave this to him!